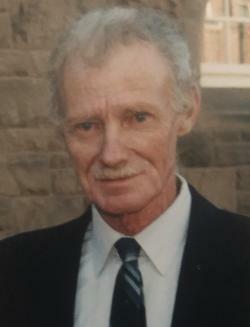 MacLellan, George Joseph, 85, of Orchard Terrace, Antigonish, and formerly Big Marsh, Antigonish County passed away on February 23, 2019, in St. Martha’s Regional Hospital, Antigonish. Born in Antigonish, he was a son of the late Malcolm and Josephine (Whalen) MacLellan. After working in Boston for many years, he returned to Big Marsh in the early 80’s and drove trucks for Zinck’s Transfer, John W. McCarron Ltd. and Buddy MacDougall. He enjoyed attending card plays and driving around the county. He is survived by sister, Josie (late Collie) Fraser, Big Marsh; brother, Lawrence (Abigail), Pennsylvania; nephews, Sandy and Donnie Fraser; niece, Leanne Valhouli; and his nieces and nephews in the States, Joey, Malcolm, Mary, Ann, Susan, Sarah, Elizabeth, and Karey; and many grandnieces and grandnephews. Visitation will be held Wednesday from 2 to 4 and 7 to 9pm in C.L. Curry Funeral Home, 135 College Street, Antigonish. Funeral Mass will be held Thursday at 10:00am in St. Mary’s Church, Maryvale, Reverend Andrew Boyd presiding. Burial in the parish cemetery in the spring. In Memoriam, donations to Canadian Cancer Society or Canadian National Institute for the Blind appreciated. C.L. Curry Funeral Home, 135 College Street, Antigonish.